One of the great figurative images of the bible is leaven. Paul’s saying, “A little leaven leaven the loaf” has even entered our vernacular. In this article, we will focus our attention on explaining both, the negative and positive usages of the biblical imagery of leaven. 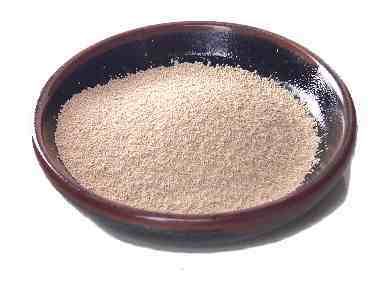 Leaven (such as yeast) is a type of fungus that, through the process of fermentation makes dough rise. Leavened bread was the staple food for the ancient Israelites. As such, leavened bread was a part of two offerings to God, the Peace Offering (Leviticus 7:11-18) and the Wave Offering (Leviticus 23:15-21). However, several times the Bible speaks of omitting leaven from bread for religious purposes. The most recognizable of these was part of the Passover celebration. The Jews, under penalty of expulsion, were to refrain from eating leavened bread for seven days (Exodus 12:15). Moreover, leaven was not to be found in their homes, nor in territory of the whole nation (Exodus 12:15, 13:7). This was one of the components in reminding future generations of how God swiftly delivered the people from Egypt (Exodus 12:34, 39). Additionally, leaven was excluded from being a part of other sacrifices offered on the altar (Exodus 23:18; Leviticus 2:11, 6:14-18). In the New Testament, the imagery of leaven’s ability to completely permeate its host is the basis for both positive and negative teaching. One of Jesus’ parables, The Parable of the Leaven (Matthew 13:33; Luke 13:20-21), He compared His kingdom and it’s workings to leaven that was placed in flour. Thus saying, that just as the leaven would gradually and completely permeate the flour it was placed in, His kingdom would gradually and completely permeate throughout the whole world (ref. Matthew 28:19-20). But most New Testament usages of the leaven imagery are pictures of negative influence, mainly from sin and false teachers/doctrines. For example, Jesus warned the disciples of “the leaven of the Pharisees and Sadducees” (Matthew 16:5-12; Mark 8:14-21; Luke 12:1-3). At first the disciples thought Jesus was talking about bread, but in fact He was talking about negative influences of the Pharisees teachings and hypocrisy. Likewise, Paul used the picture of leavens’ ability to permeate flour to warn the Corinthians of the ability of unchecked sin to permeate the church (1 Corinthians 5:6). Moreover, Paul called for the Corinthians to expel the leaven of “malice and evil” from among the body in the same way the Israelites expelled leaven in preparation for the Passover and celebrate the feast with the “unleavened bread of sincerity and truth” (1 Corinthians 5:7-8). Additionally, Paul used the same image to warn the Galatians of the negative influence of a works based religion to spreading among them, eventually corrupting their faith and leading them to fall from grace (Galatians 5:9). The image of false doctrines permeating and corrupting believers may also lie behind the commands to remove leaven from bread during the Old Testament sacrifices. Worship of the true God could not be combined with other gods or religions, just as salvation by grace could not be combined with righteousness by works. Then in both cases, unleavened bread (or dough) would have signified the purity of worship/doctrine that God required. The image of leaven was used in both positive and negative ways. May we be positive leaven, quietly spreading the message of Christ’s kingdom. On the other hand, may we be people who purge out the negative leaven of false teaching, malice and evil from our lives.